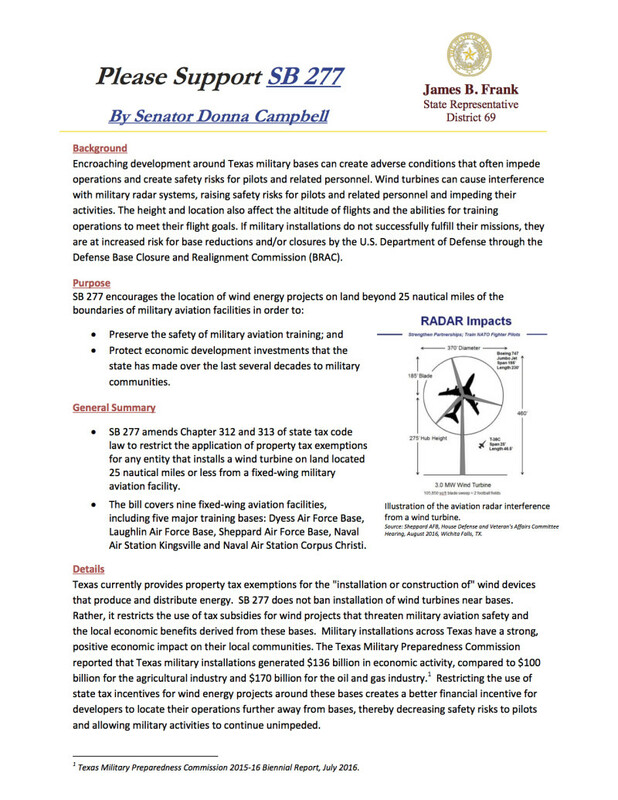 Our South Texas Military Facilities Task Force asks for your support of Texas Senate Bill 277. Click here for additional information on Supporting Our Military! How can you help? Contact a State Representative Immediately.